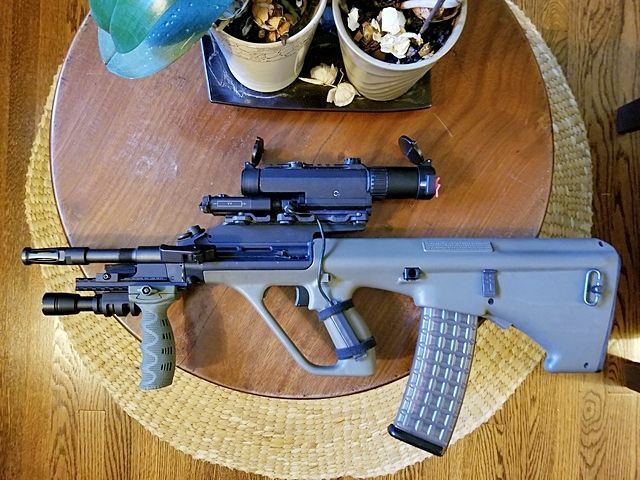 New guy here out of Dallas.. OD Green Styer Aug A3M1 with the NATO stock. 1800gunsandammo.com (their store front is in Arlington) had them in stock and I picked it up for 1705 (before tax) they were having some kind of 4th of July deal going on. 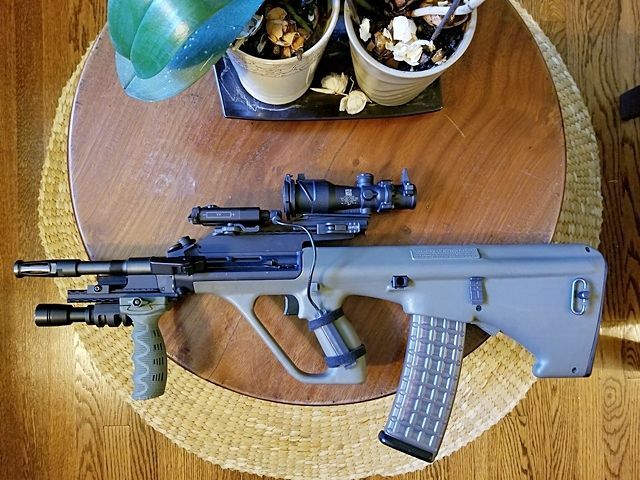 Was going to go with the standard AUG stock but they didn't have any in and I figured I already had a big *** pile of AR magazines so I might as well go ahead and go this route even if I loose the bolt release feature. It also saved me about 200 dollars as I would have wanted to buy at least 12 AUG magazines to go with it. I've got a Holosun 403C (Solar/Battery powered) on the way for it that should be here Saturday. I figured a space gun deserves an optic powered by the stars. I was going to put my TLR-1HP on there but the bezel is so large it just barely rubs the reciever so I may put either my TLR-1VIR on there or order another TLR-1 or TLR-1HL to throw on there. My other standard TLR-1 lights are being used on my pistols. I'm missing an A2/USR. But I've got most of 'em covered. The 2, A3 M1's are different now. 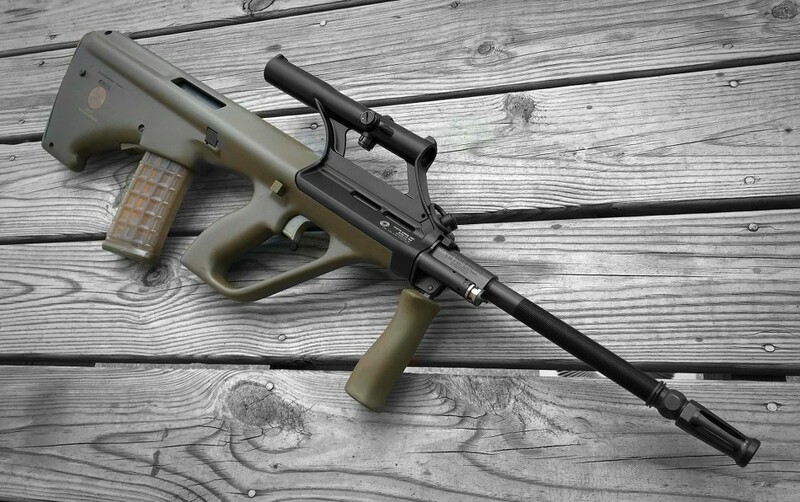 9mm has a longer rail, no optic, different irons and a light. The other M1 sports a standard stock, different light, 20 inch barrel, different red dot. It is neat to be able to configure them how you want. All these decades later and still rather modular. 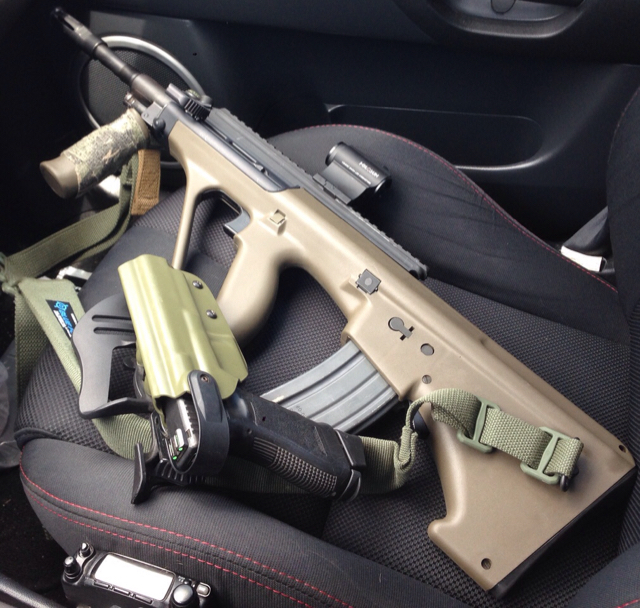 Took the Austrians for a car ride today. Running some drills today out in Mesquite, Tx. My AUG 9mm with Gear Head Works charging handle, Short Razorback upper rail, Vortex Spark and YHM Wraith. 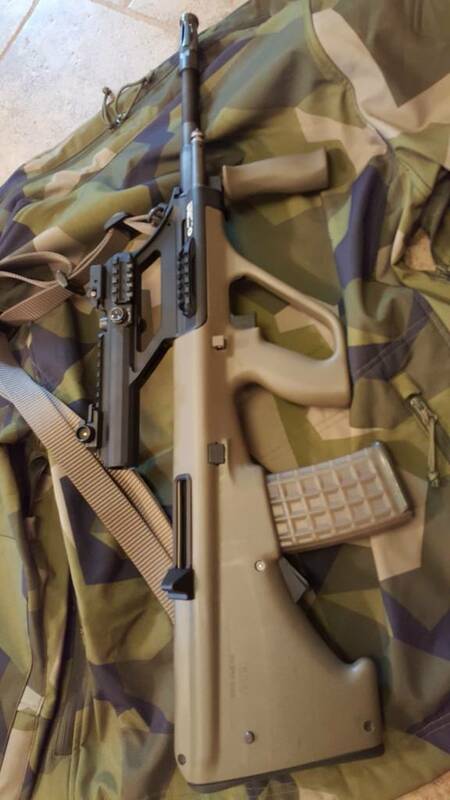 my Aug A3M1, was black and im not a fan of black rifles so i had to add some flare. also has tbe 3x optic on her. 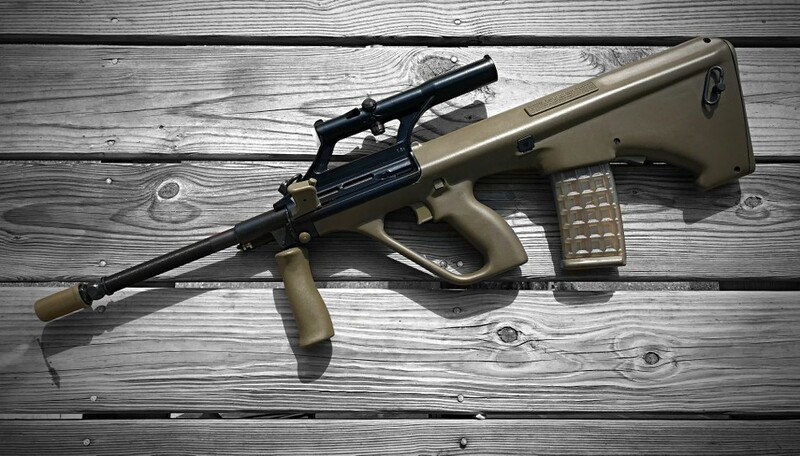 If it were mine, I would also camo the scope, and instead of the white I would use a light tan or beige. 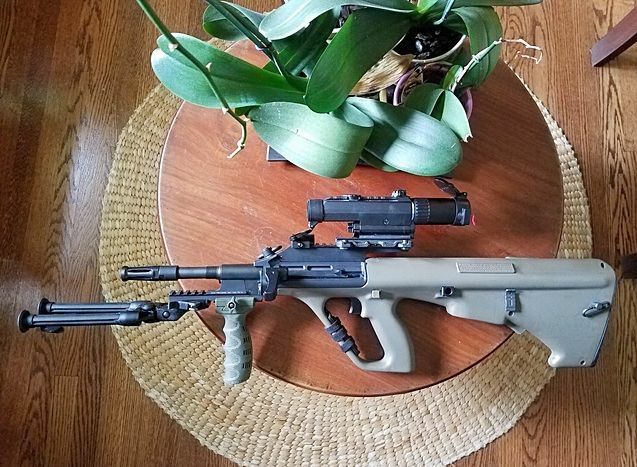 My AUG A3 M1 3x OD with Corvus defensio mag release and deflector. Giles sling and flip up pistol sights. no flashlight on today. highly debating ruining my stock by painting it M90. Thoughts? 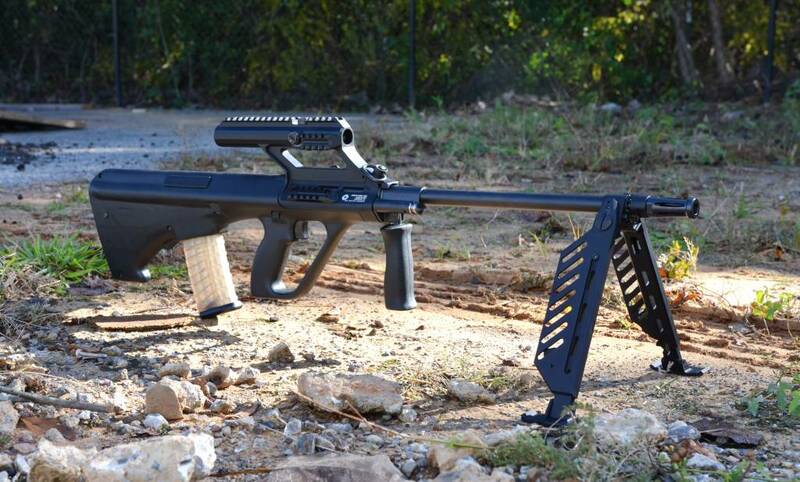 The new bipods are finally for sale through Steyr arms, Ratworx, and Manticore Arms. I'm picking one up cant wait to see them on more variants. Wonder how those will affect the harmonics of the barrel? Got mine, can't wait to run to the range.